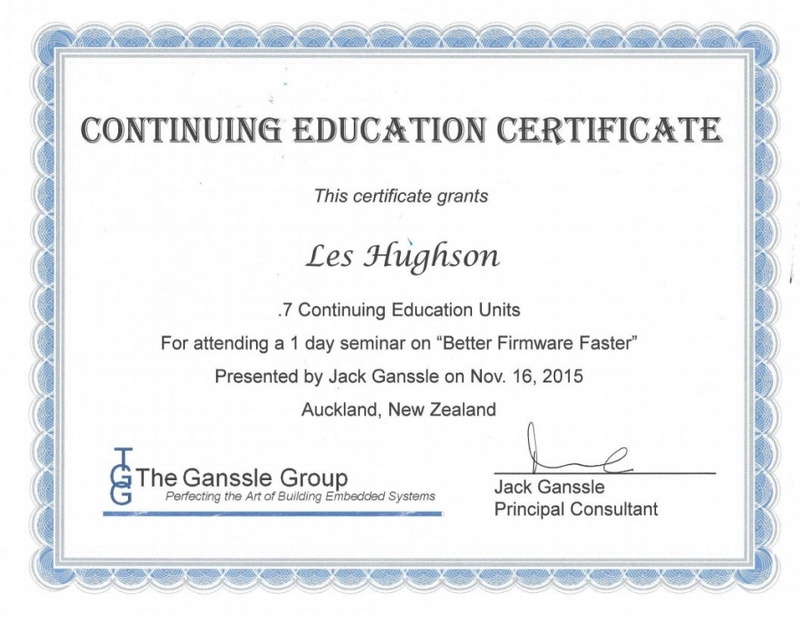 I attended the full day “Better Frimware Faster” seminar in Auckland on 16-11-15. This was presented by Jack Ganssle, a well established expert in the field. I have been following him online for some time and his seminar was a helpful collection of useful wisdom and practical pointers. “This seminar will teach you new ways to build higher quality products in half the time.” .